More wild echinacea has been harvested from Kansas than any other state. Twenty-two species of milkweed occur in Kansas, including Mead’s milkweed (Asclepias meadii Torr. ex A. Gray), which is federally endangered. 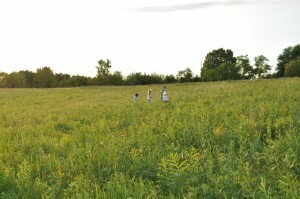 Mead’s is studied at two sites of the KU Field Station, Rockefeller Prairie and Welda Prairie. Acorus calamus (calamus) was among the plants most widely used by Native Americans. The root was chewed, smoked or made into tea for fevers, colds, coughs, sore throat, toothache, headache, nausea and constipation. Calamus was a common remedy 2,000 years ago in India and also among the early Greeks. Monarda fistulosa (beebalm) contains high amounts of thymol, a natural antiseptic and the main ingredient in many commercial mouthwashes.